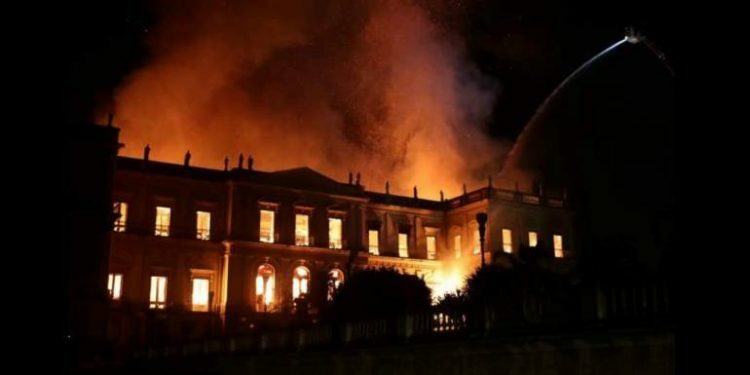 The National Museum of Braizil in Rio de Janeiro was razed down by fire on Sunday despite efforts by firefighters to stop the massive flames. The national museum which is 200 years-old was known as Rio Museu Nacional. The cause of the inferno is unknown although the museum reportedly had infrastructure problems in recent years. Sgt. Moises Torres, of the state’s firefighting headquarters, said it wasn’t known if anyone was injured in the blaze. 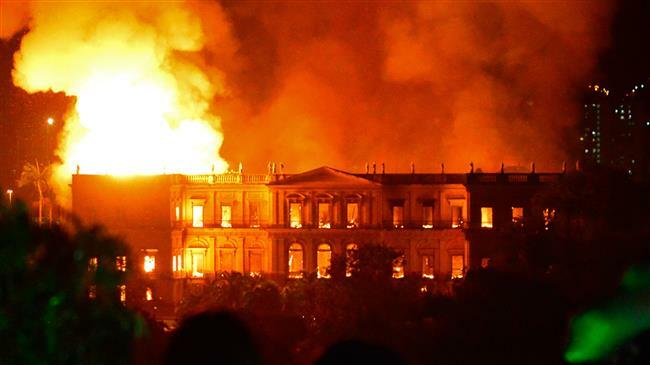 “Two hundred years of work, investigation and knowledge have been lost,” President Michel Temer tweeted. The museum holds thousands of items related to the history of Brazil and other countries, according to its website, and is part of the Federal University of Rio de Janeiro. Many of its collections came from members of Brazil’s royal family, officials said.